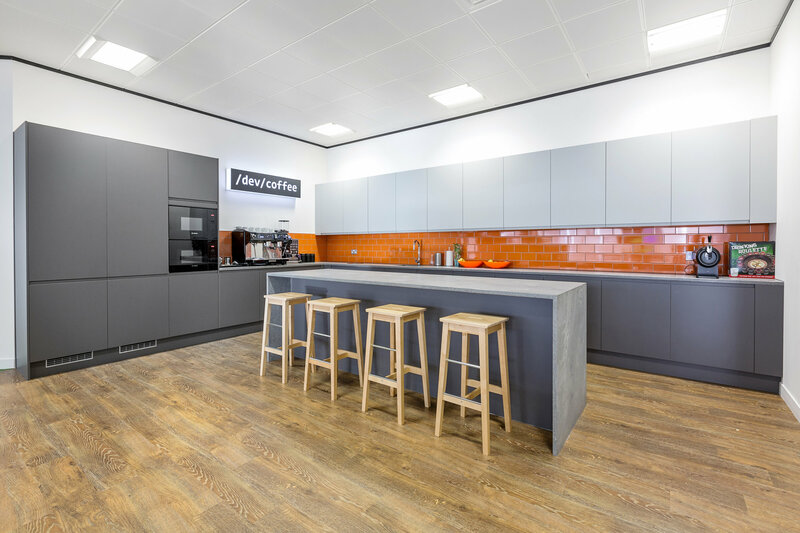 Previously located in Arlington Square, Bracknell, Papercut were keen to find a new office for their UK team that reflected their youthful ethos. 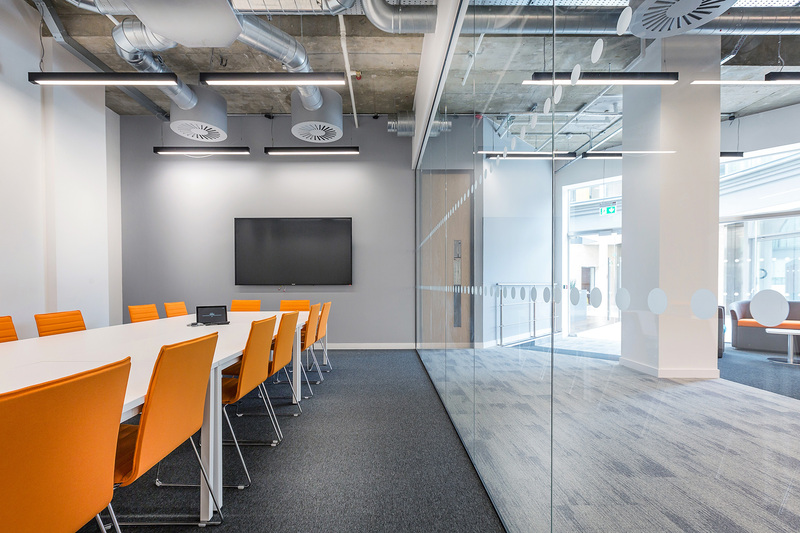 The fourth floor of the Maxis 1 Building, Bracknell was the ideal space to achieve the clear objectives of the Papercut team after Curve initial test fits. 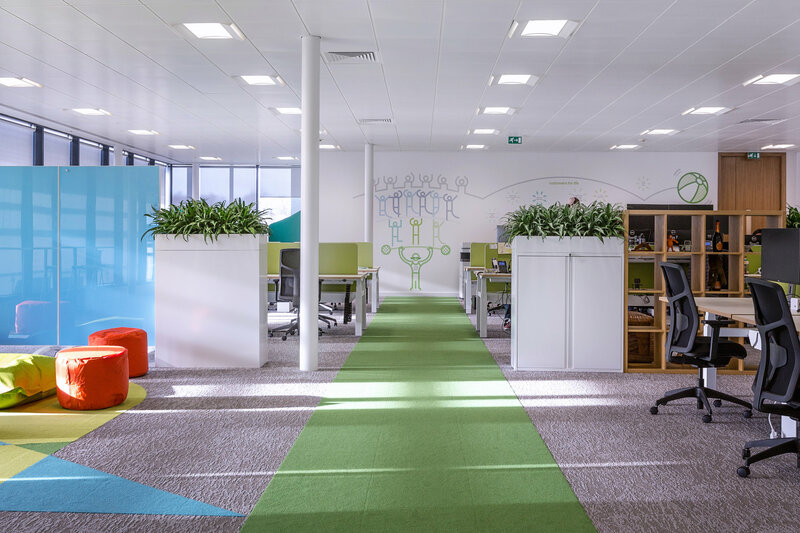 Great to see our new office come to life with the expert help from the Curve team. From initial consultation, through to design and build, the Curve team where with us every step of the way in helping to guide us through the process of creating our new place to call home. We couldn't be happier in our new office. 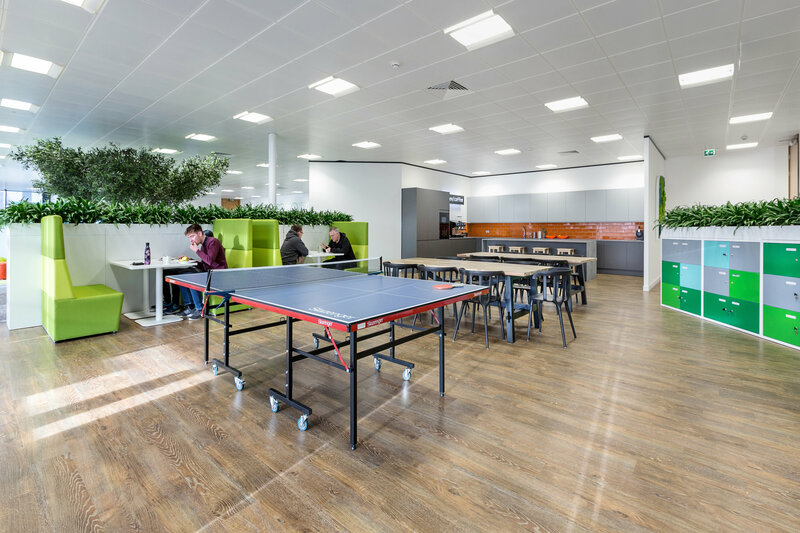 The 8-week project included flexible meeting rooms, social spaces for employees; with pool, table-football and table tennis and a gaming area, a sleek open plan tea point with barista coffee machines and open plan accommodation for two teams and remote employees. It was essential that the look and feel was quirky and not too corporate. 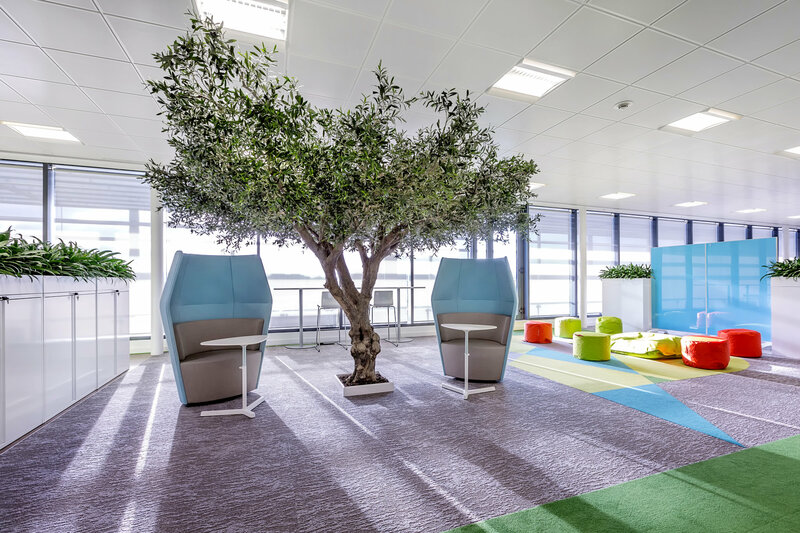 Curve Workplaces installed a central olive tree representing the green credentials of Papercut with numerous branding and marketing installations. The end product is a fun and relaxed design which reflects the original start-up culture of the business, perfect for sharing ideas over an espresso coffee !